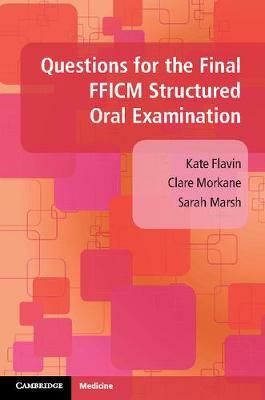 This is the first book developed specifically for the Final FFICM structured oral examination. It is written by two senior trainees who have recently passed the exam and is edited by a consultant intensivist with a special interest in education. The book is designed in the style of the SOE, and provides model answers which include summaries of the relevant evidence to guide trainees in their preparation for the exam. The 91 topics and questions therein are drawn from previous exam sittings, and are expanded further to ensure each topic is covered in detail. This text is a valuable revision aid to those studying for the Final FFICM, and will also prove useful to trainees revising for the Final FRCA, as it covers popular ICM topics that often come up in the anaesthetic fellowship exams.